Chi Mei Optoelectronics (CMO) and Chunghwa Picture Tubes (CPT) have expressed they have no intentions of completely suspending production during year-end 2008 or the Lunar New Year in late January, despite facing falling utilization rates for the first quarter of 2009. 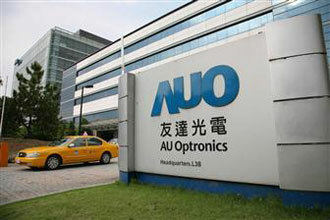 According to AUO, the panel supplier is looking to utilize less manpower, and hence lower productivity, to compliment its poor outlook for the first quarter of next year. The company will start its annual maintenance at the end of this month, but said it has no plans to cease production completely. CMO said that the company is aware capacity will be underutilized and has scheduled routine maintenance and R&D efforts for the duration. Despite its falling utilization, none of CMO’s plants have stopped production or operations entirely, according to the company. Meanwhile, CMO is encouraging its employees to take unpaid holidays amid the economic slowdown, said the company. CPT also said that it is encouraging more unpaid leave and is also running a new working schedule at its production sites. The company has no plans to implement layoffs or production halts, and annual maintenance is scheduled to take place over the Lunar New year holiday, the company said. Market watchers have estimated that LCD panel makers will experience a sequential utilization rate drop of 10-20% for the first quarter of 2009.